This incident is not an isolated occurrence, but rather a sneak-peak into the slow but gradual wrong transition of power from our independent institutions into the hands of persons. Also, the issue is quite a polarizing one. Lobby groups such as the human rights activists, and several members of the public, believe that this was wrong, and that the two suspects were denied the right to fair trial, thus setting a wrong precedence for more of these type of street shootings. The Independent Policing Oversight Authority (IPOA) promised to launch investigations into this, urging members of the public to come out and provide the much needed information. Another faction of the public fully supports the cops for the job well done. Any person who would have tried to talk in a different tone to the youths who were supporting this, would have faced the wrath of the residents who for a long time have been haunted by fear in the hands of the gangs. This populist fury is to a good extend fueled by the fact that a majority of the public believe that the judicial system is flawed, and so the best place to serve justice, is on the streets. The courts however, in their defense will state that a good number of cases brought to them lack the sufficient evidence required to convict due to poorly done investigations. The IPOA, in a survey done in 2013 cemented this argument. According to the survey, only 25% of the cases presented have investigations done that meet the threshold required to ascertain their usefulness in a court of law. It is quite a toxic discussion to the extend that, and I stand to be corrected, the political class has tried its very best to steer away from it. I’d imagine that it’s because during the election period, political capital is importantly precious. You dont wanna lose it when you need it the most. So as a nation we’ve quickly and involuntarily shifted our attention to party primaries and placed this issue on the side. I must say, I am deeply intrigued by what’s happening in our political landscape. I wonder, is the huge number of aspirants for various political offices a manifest of a growing democracy, or an increasing threat to the public coffers? The poet William Wordsworth once wrote “The Child is The Father of the Man”. That, a person’s character and destiny is defined by his/her childhood environment of growth, and the persons he/she encountered in the process. Crime knows no social classes. It’s no lie that there is a number of youths who engage in criminal activities and are yet from well-off backgrounds. But it is no hidden truth that a majority of those in these activities are from the low-income suburbs of various metropolitan areas. What makes this new wave of crime deadly, is the age of the boys and girls engaging in it. The uprising of criminal gangs that are too ruthless to write about is not only causing headaches to the security apparatus, but also daylight nightmares to a society that is finding it difficult to believe that the youths are the leaders of tomorrow, and today. So, the best place to try to understand the complexities of the youth engaging in crime, is in the hood. It is wrong to form a blanket judgement that everyone from the hood should not be trusted. You do not need to have scars to convince people that you live in Dandora, Mathare, Kariobangi etc. In the hood, there are a lot of young men and women with dreams and hopes that defy all odds. Hardwork and determination that’s admirable. You will hear as early as 5am footsteps of people walking to the nearby factory, others heading to the bus stage to catch a matatu to town at only sh20, the nearby hotel owner putting everything in place to prepare chapatis, and amazing women walking to Korogocho to get fresh groceries to sell at their stalls. During the day, walk into a cybercafe, and despite the old computers and slow internet,you won’t miss to notice a guy browsing the internet and most cases, either on YouTube or Facebook. This is not merely browsing, but an opportunity to exercise the right to access information.To know what’s trending: who W. Paul said I do to; or ‘what BABA said at a rally that sent shock-waves to state house’. Not to mention that a good number end up browsing for free since they are buddies with the owner. Struggles aside, life in the hood has its package of joys as well. Quite communal, and a sacred unity in the face of challenges. Always reminded of a time residents, irrespective of tribes, religion etc, in one voice united against a threat of having the estate demolished. Unfortunately, the struggle is unbearable to some, and they end up giving up, and looking for ways to make ends meet. Ordinary sons and daughters, mothers and fathers risking it all. It is important to note that the hood is not naturally insecure. Insecurity thrives due to lack of co-operation between members of the public and the security personnel. So a situation arises of victims and perpetrators living together in a state of dreadful peace. Walking in the street and there’s a probability of meeting your attacker. Like a break-up in a small town. The killing of a young person suspected of engaging in crime in one way or another is not met with excitement or any shouts of victory. A somber mood engulfs the crowd, which is speaking in low tones, surrounding the dead body. It is also important to note that those in crime are to a good extend quite nice people in person. Reminded of a young man who was a darling of many, very respectful to the elderly and women. Would meet him and he’d greet me, ask which team had been kicked out of the UEFA Champions League, a good chat would ensue. Had a loving girlfriend too. Well, one would say, that his warm personality was a cover-up. But, mehn, you can only fake things for so long. Shock when one day I got home in the evening to be told that he had been shot dead together with 4 others in Kariobangi by cops who had acted on a tip-off. With no family, the girlfriend and very few friends ended up walking from door to door asking for financial assistance to facilitate his burial. I remember walking in the gate and finding her standing with a small green bowl entailing several coins and fifty-shilling notes and teary eyes. Crime is fueled by the growing gap between the rich and the poor, and the unequal dissemination of resources and opportunities. The growing number of street kids is by itself a ticking time-bomb. Also, the lack of good role models results in the youth being LOST IN A PLACE THEY’VE NEVER BEEN: Adulthood. 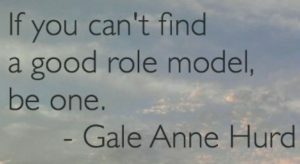 So, to be found, the youth, due to lack of role models, are ending up becoming their own role models. This is quite risky, but a step in the right direction. But, there’s hope. Several youths are reforming, embracing entrepreneurship, fun stuff such as dancing, sports, spoken word and other forms of art to not only earn a just living, but also pass information about issues such as drug abuse, early pregnancies, sexual and gender-based violence, HIV/AIDS and poverty. Poor educational performance is also an issue. But associations in the hood such as The E-Graders’ Association of Kariobangi are providing young men and women who got Es at the KCSE, with the much needed hope for a better tomorrow through organizing meetings to share ideas about life and also seek job opportunities. In the face of challenges, in the face of a depressed society, Hope is the glass we need. Hope is that beacon that defies the strains of time. Hope is not rational. Hope is not sober. Hope tells you you’ll get a job when you don’t have one in sight. Hope tells you you’ll be a model to be emulated when you don’t even have a person to look up to. Hope tells you you’ll be a great leader in your community when you can’t even talk to yourself. In the face of not having enough coins to pay rent or treat your better half, before walking out to mug pedestrians, Hope tells you you will not only rightfully own a big house, but a big home with 4 to 6 kids and a loving spouse. In a flawed family, Hope tells you, and reminds you never to let your own kids view success as only monetary, but as a summation of hardwork, determination, tough decisions and love. Sometimes, the best way to find something is to lose it. And the more you lose it, the more you find it. The more as a society we lose hope, the more we value it. The more we lose peace, the more we treasure the few seconds we have it. And the more we lose love among ourselves, the more we will be all protective and clingy with the one we will have. The Hood is unifying. It is a representative of all the challenges we face, personal or societal, whether we are rich or poor. Say No to Crime, whether petty, or scandalous. We apologize for that issue. It might be the images are too large. It will not happen again. the easiest factor to take note of. I say to you, I certainly get annoyed whilst people think about worries that they just don’t know about.